Understandably Galaxy’s Edge is generating huge amount of excitement. But, from what I’ve seen on the Interchats, there is a contingent of people that were less than excited when Disney announced an earlier opening. People cite a desire to squeeze in some pre-opening trips to avoid the anticipated mayhem or, I assume, their Wookie costume will still be out at the salon getting a Brazilian blow-out. 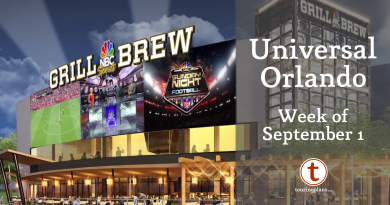 If you have a plan to Sidestep The Mayhem (I should slap a (TM) on that phrase and market it to Universal), then I have some Priceline tips that might help you find some deals over at Universal Orlando hotels. If you’ve read our previous Priceline posts here on TouringPlans you probably have a good feel for the process. If not, I’ll wait here humming the Jeopardy! music as you go and read them all. OK, done? Let’s jump into some Universal Orlando specifics for Priceline. In that area there are 7 Universal-owned resorts and more than 20 non-Universal resorts. 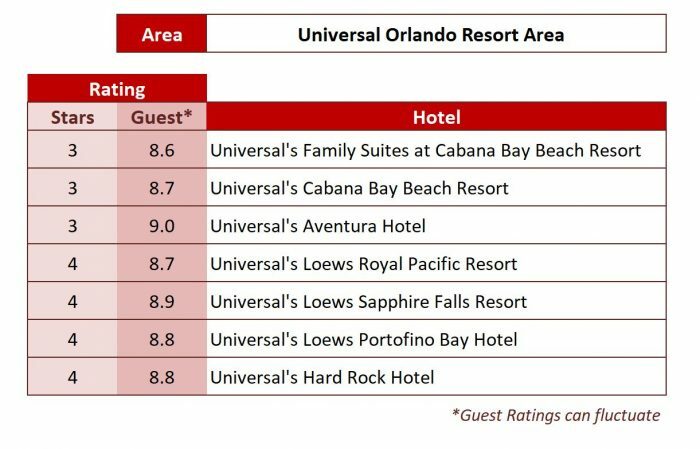 So, if you find any Express Deals with ratings that match those in the chart above, you might even decide to give your Hotel Canary a rest since you’re *almost* guaranteed it is a Universal resort. 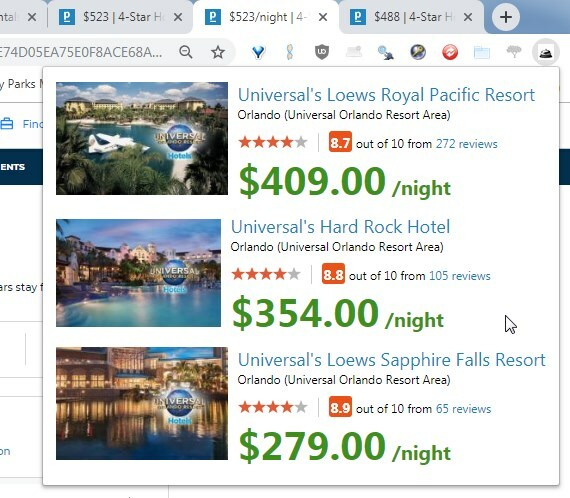 Now, before I go any further I just want to point out: while I have seen a number of Express Deals for some of the Universal resorts, they were far from the deep discounts we had seen last year for Disney resorts. Priceline reported the Universal deals in the 12% – 24% off range, which translates to about $40 – $100 off regular Priceline rates. 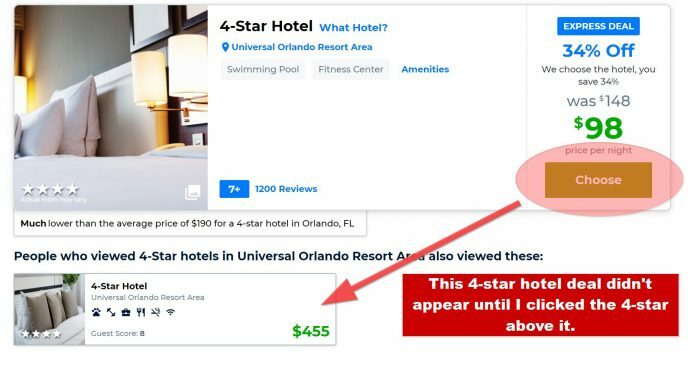 That means even as Express Deals, the rooms at the 4-star resorts were still in the $440 to $620 range. Admittedly, those rates make my eyeballs spin a little. But, an additional % off of anything is good news, plus there is some vacation math you can use to make those rates more palatable: A stay at the deluxe Universal resorts–Portofino, Hard Rock, and Royal Pacific–includes the Express Unlimited Pass. 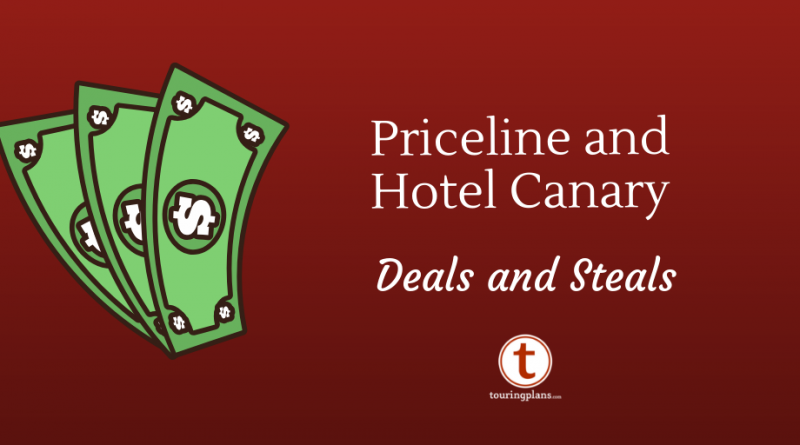 Once you click on the deal, you may get a clue from Priceline in the form of a map at the top. In this one, Priceline not only tells you the deal is one of 4 named resorts – and 3 of the 4 are Universal resorts! 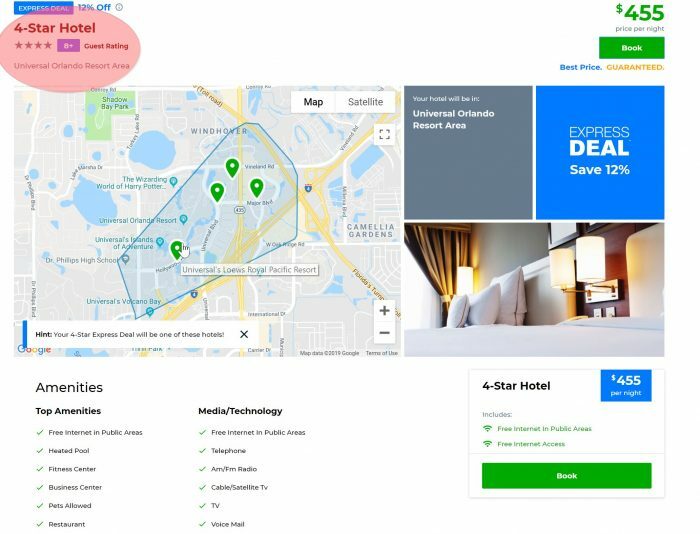 The 4th suggestion on the map is the Doubletree Hotel at the Entrance to Universal (the full name on Priceline), which is a 4-star 7-rated hotel, so can’t be the hotel in this deal. Important note: one downside of Hotel Canary right now is that the developer has not updated how it links to the suggested hotels since Priceline changed their site format. That means the amounts you see here are almost entirely wrong for the date you are searching, so do not use them to estimate (as outlined in previous posts). If you want to further refine your guess, I suggest you go and find the pages for each hotel on Priceline manually and look up what the regular prices are there for your dates. When I did that for this deal, I came up with the Hard Rock as the most likely. There’s one much more surprising aspect of some these Universal Express Deals: Flexible cancellation! When I first noticed a deal with that policy, I did a double take. Might have even been a double-spit-take combo. Priceline’s explanation of Express Deals is that they’re so low the hotels don’t want them revealed and so are non-refundable. 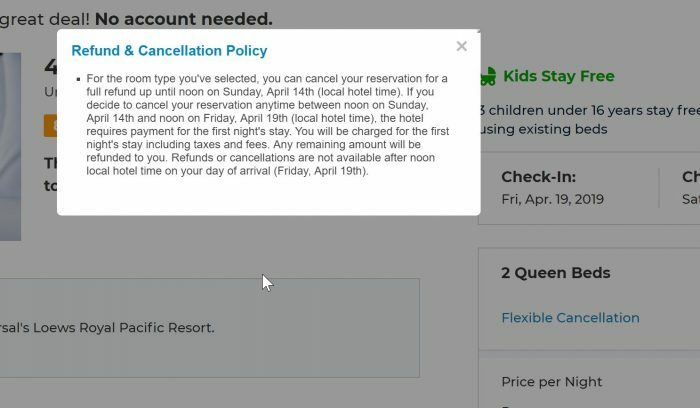 The deals with flexible cancellation I’ve seen allow you to cancel with full refund up to 5 days before, and cancel up to noon on the check-in date with a charge of one night’s stay. That really takes the sting out of going for an Express Deal! If you’ve had any luck finding Priceline deals at Universal Orlando resorts, let us know in the comments.